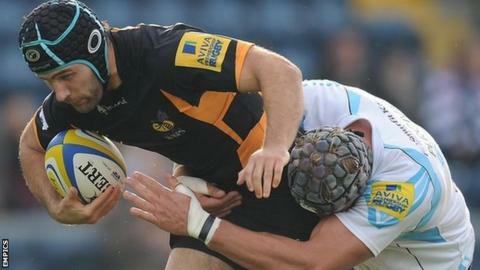 Wasps have created a role of 'head of off-field player development' for their former captain Chris Bell. The Coventry-based Premiership club have identified the need to improve with regard to the off-field welfare and development of the club's players. "Wasps are determined to ensure players are looked after off the pitch," said deputy chairman Nick Eastwood. "We have no doubt Chris Bell will prove as successful in his new role as he was leading the squad as Wasps captain." Chris Bell's rugby career started with Plymouth Albion. He then served Harlequins, Leeds and Sale before joining Wasps in 2011, since when he has made 80 appearances, captaining the club in the 2013-14 season. He played 183 Premiership games, as well as representing England at Under-16, Under-18, Under-19, Under-21 and Saxons level. He added: "Chris is one of the most popular and respected characters in the game, admired as a role model for his unwavering commitment and professionalism at each club he represented. It is a huge boost for players and staff to see him return to the club." The Devon-born 32-year-old former Harlequins, Leeds, Sale and England Saxons centre was forced to retire at the end of last season with the shoulder injury that he suffered in Wasps' first game at the Ricoh Arena in December. "From personal experience, no matter how much you think about the future and how much you try to prepare in case injury strikes, you are never fully ready for that day when a doctor tells you that your playing career is over," he said. Bell, who has spent two years on the Rugby Players' Association board will now work alongside RPA senior player development manager Ben McGregor, who also works with Wasps' Premiership rivals Harlequins.